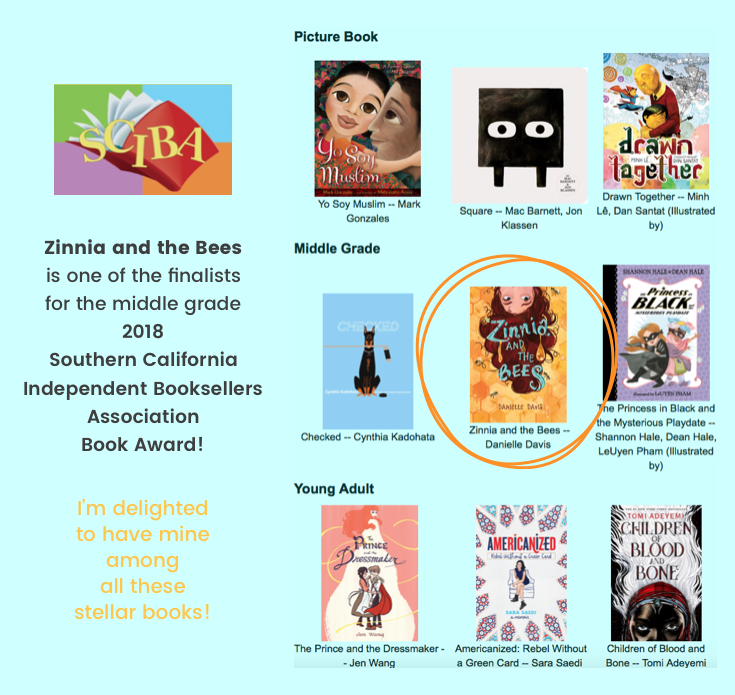 I’m absolutely thrilled that Zinnia and the Bees is a finalist for the 2018 Southern California Independent Booksellers Association Awards in the Middle Grade category! Mostly, I’m thrilled to be among such stellar kids’ books and their creators! The Children’s Awards Luncheon will be on October 20th at the SCIBA Trade Show.